On-demand Scalability – One of the pre-dominant advantages of Cloud Migration! 21/Dec/2015 Posted By admin no comments. Cloud migration Service Providers offers organizations the opportunity to scale their computing resources whenever they find it necessary. This is done by either increasing or decreasing the required resources, which implies you're not paying for the resources which you don’t utilize. Cloud scalability, enables businesses to meet expected demand of business services without the need for large, up-front investments in infrastructure. 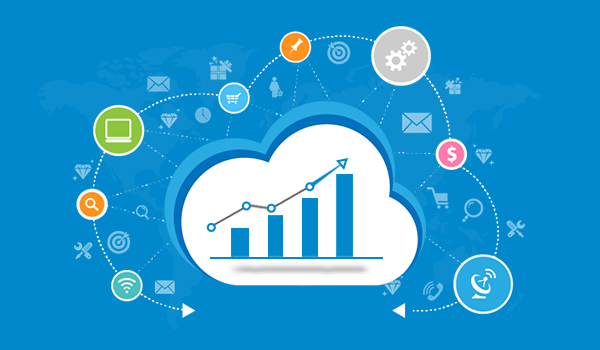 Cloud Migration provides this ability for organizations of every size to alter their plans due to predictable or unpredictable fluctuation in business size and needs. This is very advantageous for the companies in the times of sudden growth in demand. Especially for small companies which have a potential to grow in the foreseeable future, this scalability holds the edge over a fixed plan. E-Commerce Seasonality: If you run an e-commerce site, business will ebb and flow. During the holiday shopping season, you may need to have extra processing power to handle an increase of shoppers. Then, during the off-season, you may need to scale back on the infrastructure in order to avoid overspending and having that infrastructure sit idle. Data Analysis: If number crunching or statistical analysis is your business model, you may need to run minimal infrastructure when you’re not processing data sets, and then add more processing and/or storage capability when it comes time to analyze the data. Social Media: If you are managing or developing social media applications, you will need infrastructure and storage that scales. Many social media applications are driven by Big Data, which means that a multitude of data is created with each social interaction. From a scalability standpoint, you will most likely be scaling up (adding more processing capabilities) and out (adding more servers) to handle growth. Minimal operational costs: The scalability enables small companies to optimize resources from the cloud leading them to escape the large one-off payments of hardware and software, making operational costs minimal. In a traditional infrastructure model, firms must invest in advanced servers and storage devices that generally come at fixed costs. Migrating to cloud facilitates flexibility and scalability, operating on a utility basis and allowing firms to pay as they go and only for the resources they will use. Saves storage space: Ultimately scalability in cloud computing is a virtualized solution which has other distinct advantages as well. Space, storage and RAM are few to add. There is no need to wait for quotes to be drafted and equipment to be ordered and shipped. Instead of taking days, a firm’s needs can be fulfilled in a matter of hours. Minimizes the risk: Needless to add that scalability feature of cloud computing minimizes the risks associated with capital expenditure and the cost and effort of in-house operation and maintenance. Companies can gain access to high-performance resources and professional solutions without needing to make the upfront investment. And by reducing the need for local resources, the cloud shrinks expenditure in the long term.